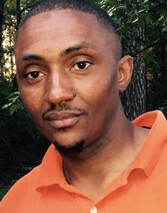 Before entering into education, Mr. Maloney received his BS in Building Construction and Contracting from Georgia Southern University. While working primarily in concrete construction for 20 years, Mr. Maloney decided to return to college after interacting with many young men who were suspended and/or expelled from school due to behavioral issues. Mr. Maloney received his M.Ed. in Counselor Education from South Carolina State University and began working as Colleton County School District At-Risk Counselor before relocating to Atlanta, Ga. Prior to being employed by GCPS he worked for 4 years as a mental health clinician for a private agency. He provided in-home counseling for students involved in Juvenile Courts and through self-referrals in DeKalb and Fulton Counties. Mr. Maloney enjoys spending time with his family, Barbequing, fishing, and tinkering. Mrs. McCollum attended Waynesburg University and received her bachelor's degree in biology with a minor in education. She taught middle school science and social studies for several years at McConnell Middle before completing her master's degree in school counseling from the University of West Alabama. Mrs. McCollum has been in education for 18 years and has a variety of experiences in education at the middle school level. She loves working with students to help them reach their full potential and considers MMS's Tiger Time (Advisement) an integral part of the school climate. In her spare time she enjoys spending time with her husband Dave and her two boys -Jordan, 9 and Jaxon, 7, exercising and reading. Ms. Thompkins is a naïve of Monroe, GA. She has worked with the youth most of her life. Before coming into education, Ms. Thompkins worked with the Boys & Girls Club of North Central Georgia as the Education Coordinator at the Greene County Unit as well as Teen Director at the Walton County Unit. She holds a BA in Psychology from Fort Valley State University and MA in Community Counseling from Argosy University. She has been in education for three years while earning her MS in School Counseling from Walden University. Ms. Thompkins has a three year old son, Conner and loves spending time with family. Enriching the lives of students has always been her passion. She is excited about being apart of the 6th grade students transition into middle school.